We are committed to serving you with ice cream treats and excellent customer service. 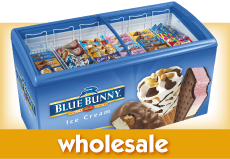 North Pole Ice Cream Distributors carries quality Blue Bunny Ice Cream products. 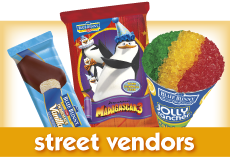 Whether you are a street vendor in need of products, or a convenience store looking for a freezer and/or products, we are here to serve you. Please contact us at 414-933-3200 for any questions! North Pole Ice Cream has been providing customers with excellent products since 2003. 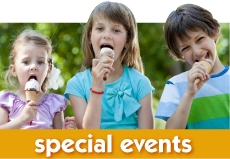 North Pole Ice Cream can provide you with an ice cream push cart for your next big event. the freezer and the product for your convenience store.